Six persons of uncommon backgrounds are about to be seamed together by a common thread. Circumstance has led each individual on a journey. And though each began on a different route, mapped out by their individual lives, they are now arriving at the same destination and the lesson will soon be learnt that sequential actions can precipitate untold tragedy and the decision of one, can change the lives of others. 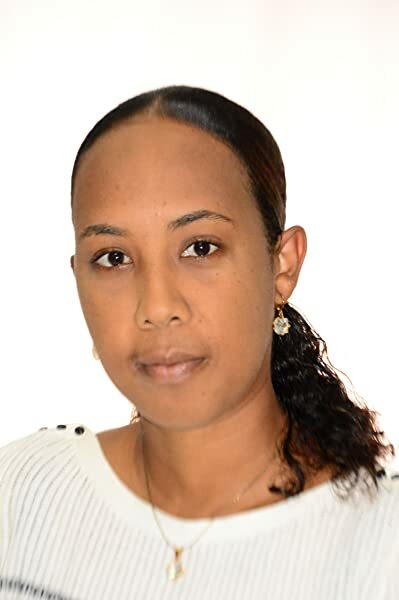 Trinidadian Kimelene Carr ushers her reader into the vibrant, titillating unpredictability of life in sweet, sweet T&T. Sans Espoir explores intersecting vignettes of machismo, sexual obsession, religious fervour, and the tempestuous madness stirring at the root of so much human behaviour. 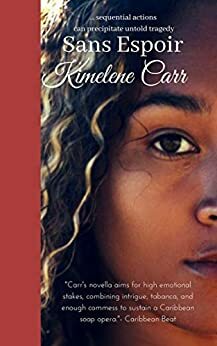 Racing through plot developments with the breakneck speed of an illegal drag race, Carr&apos;s novella aims for high emotional stakes, combining intrigue, tabanca, and enough commess to sustain a Caribbean soap opera. Simmering beneath the predictable plotlines of this tragicomic tale are an unspoken discontent with the failures of public office, and resignation to the status quo: both potent lived realities of everyday Trinbagonians. As the six principal characters of this slender drama converge at the fictitious Hope Street Hospital, their movements mirror the sojourns of so many T&T citizens, hoping for some respite from criminality and injustice. Kimelene Carr's leaves one feeling different than the title may suggest! Translated as "without hope," Sans Espoir explores many characters and highlights the whirlwind love between Trevor and Bianca. Though the speed of the story was somewhat unbelievable, it was enjoyable and sweet and thought provoking. I wish it had been just a tad bit longer to give us more insight and detail. I think it's quite brilliant. Carr informs, us the readers about the lives of these six individuals. It delves into certain realities about the Trinidadian society. I don't want to give out too much, but it is worth the read. This book is going really great as it closely looks at the lives of these individuals. I love how "realistic" it is especially as a Trinidadian. What I also love is how dissimilar circumstances can lead to one mutual circumstance shared by many. For a small book (94 pages), Sans Espoir is bursting at the seams with emotion. You are immediately immersed in the beautiful island of Trinidad and Tobago and brought into a day in the life of its inhabitants; ordinary people from all different backgrounds. Through their thoughts and reflections you learn about their feelings towards the local society, its institutions, their culture and traditions. It leaves you with a lasting impression of the island. Kimelene is a poet and it shows, as she is able to create prose rich with lyrical description, punctuated with expressions from the local dialect. It gives the writing a warm and exotic flavor. San Espoir’s beauty left me unprepared for what happens when the characters’ paths intersect. I can compare it to a tropical hurricane; hot and cold air coming together, like the human emotions of love and hate, to create an uncontrollable force that often results in catastrophic consequences.